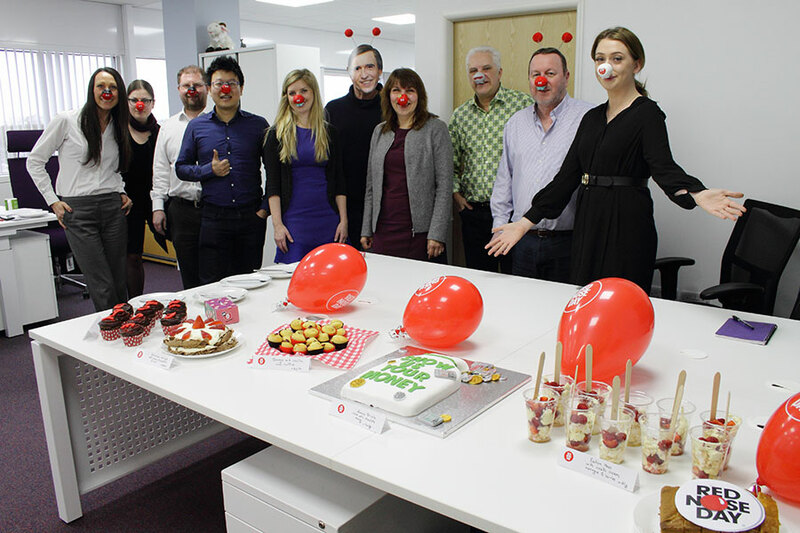 Last week we participated in Red Nose Day 2019 to raise money for Comic Relief, with the team donning the infamous noses and taking part in a team “bake off”. In total we raised £91.71, so a great team effort from everyone involved. Carolyn, our Head of Client Services, with her ‘show us your money’ lemon drizzle cake, winning the team over with some humour! Congratulations to Carolyn, who won a Comic Relief kitchen apron for her efforts. 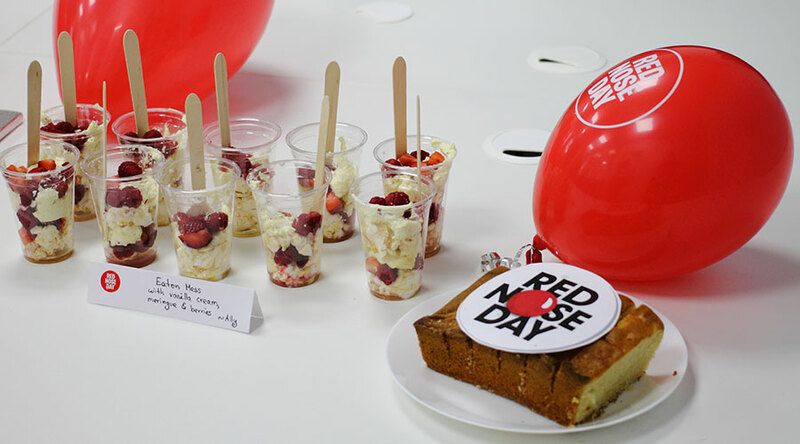 Over £63.5m has been raised across the UK for this year’s Red Nose Day, though at the time of writing the total is still rising. Launched in 1985, Comic Relief’s mission statement is to drive positive change through the power of entertainment, with a vision of a world free from poverty.